Is Your Heating System Ready to Go? We’re still experiencing high temperatures on a regular basis, but with the approach of Labor Day, it’s time to look forward to the fall, when your air conditioner can have a rest and your heating system will be counted on to keep your home comfortable. Now is an excellent time to make sure the heater is ready to go, so that you don’t encounter any serious issues when you need it to perform. Posted in Heating | Comments Off on Is Your Heating System Ready to Go? 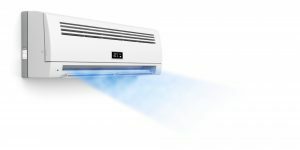 Could Your Home Benefit from a Ductless AC System? 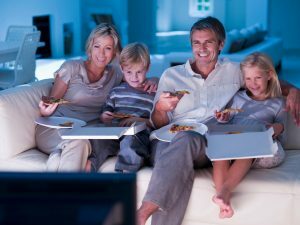 Most of us are accustomed to the traditional centralized air conditioners which can be found in many homes in the area. They use a simple system to cool your home during the summer: lowering the temperature of the air in a single central unit, then blowing the cooled air into the various corners of your home with a system of ducts. It’s effective and reliable, which has made it a staple of air conditioning systems in our area. But it’s not the only type of system out there, and if you’ve struggled with central air for whatever reason, you might want to consider another installation option. We often recommend ductless mini-split systems for homes that can’t support a central air system, or for homes where central air systems aren’t practical. Ductless systems cost more to install, but in the process, they deliver some tangible advantages. Posted in Air Conditioning | Comments Off on Could Your Home Benefit from a Ductless AC System?